Enaprime, used by athletes to build “meat”. It affects the increase in strength of the athlete, improves the digestibility of proteins, increases the efficiency of blood movement in the body, contributes to a more rapid recovery of the body after a hard workout, adds athlete vitality and sunk, which is very important for quality training. Also, the drug retains fluid in the body of the athlete, it goes to protect the joints from unwanted injuries and contributes to the set of “meat”, due to the effect of water retention, after the end of the course of taking the drug, some of the mass may go away. Testosterone enanthate is an ether of regular testosterone. Enaprime enters the body not immediately, but slightly, which gives the athlete the opportunity not to use it several times a day, but 1-2 times a week. 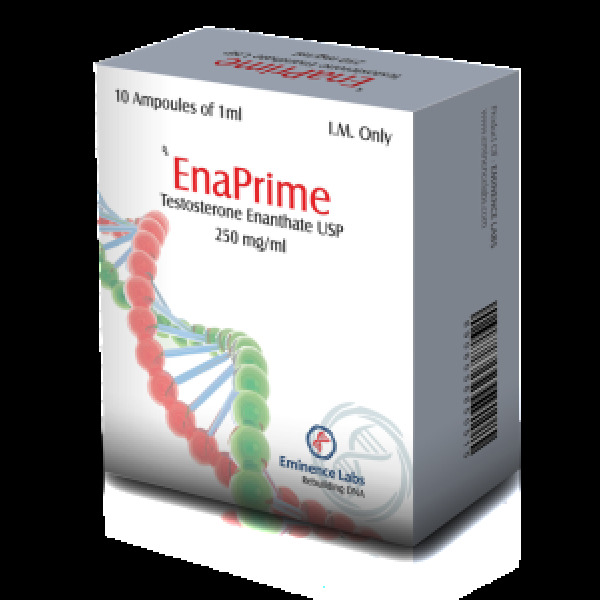 Enaprime has pronounced anabolic properties. During application in the athlete’s body, protein synthesis is increased, metabolic processes are improved, for an athlete this drug is simply indispensable. Enanthate is an ether of prolonged exposure. The complete disintegration of this ether can last from 1 to 3 weeks depending on the human body. Athletes note that the average half-life is equivalent to a week. 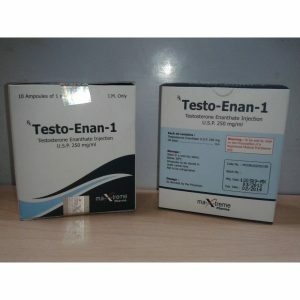 The main effect that testosterone enanthate has is a pronounced increase in muscle strength and mass. This tool has a very good effect for athletes who are engaged in bodybuilding and powerlifting. 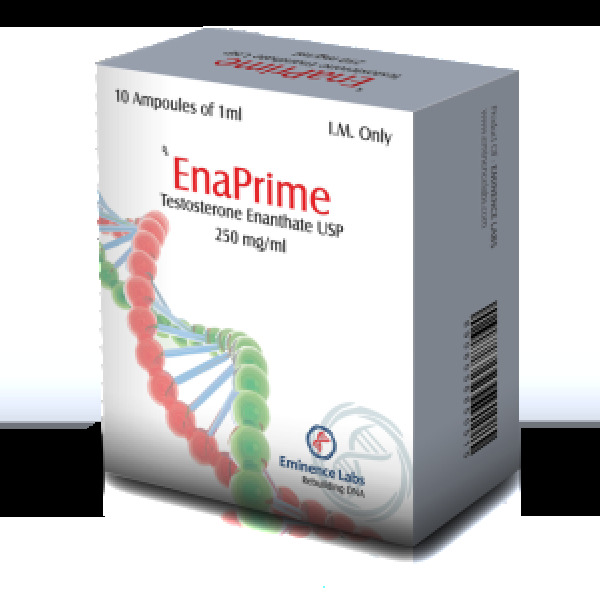 Enaprime has an anabolic and androgenic effect. Rapid muscle growth is caused by a huge water retention in the body. There is a delay of sodium and estrogen, the muscles increase several times, and there is a weight gain. Unfortunately, after the end of the intake, this positive effect is significantly reduced and the muscles acquire the same volume. For some athletes, such use is ineffective. Based on the above positive properties of this drug, testosterone enanthate is necessary for those who want to gain high-quality muscle mass. 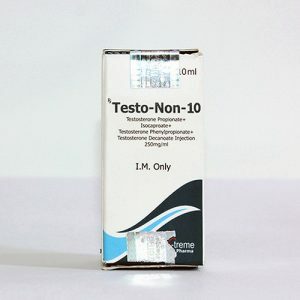 For those who have joint problems and regularly feel their crunch testosterone enanthate will be really indispensable. This steroid effectively helps eliminate this problem. 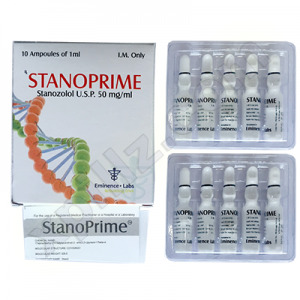 The use of enanthate is recommended only to those who have reached the age of 18, otherwise an unformed organism can simply be planted with such strong steroids. Also, before applying it is recommended to pay special attention to the medical examination. If there is none, then it is worth postponing the drug. Before use, be sure to decide what purpose you are pursuing and go through a consultation with specialists regarding individual dosages and duration of administration. The average course time is six to eight weeks. The average dose of 250 mg. – 750 mg. / week. The amount of dose used depends on the degree of your physical fitness weight, and the experience of taking steroids.